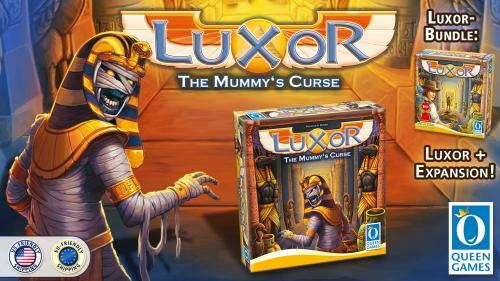 Queen Games, a small family run operation with 6 employees in Germany, 2 in the US, prides itself on quality game production, from solid game design all the way through final presentation. As a company philosophy it is important for us that all our materials, e.g. all our paper, cardboard and wooden components, come from ecologically sustainable sources and we are proud, even though we are a small company, to create jobs in the West. 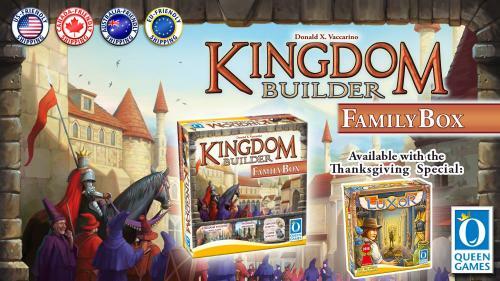 According to a consultant survey, a small company like Queen Games creates over 150 jobs across raw material, production of finished goods, printing, logistics, and retail occupations. 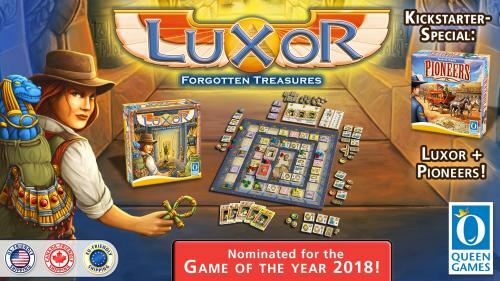 We have received many international awards and recognition for our games including Thebes, Lancaster, Metro, Shogun, Show Manager, Thief of Baghdad, Aqua Romana, and Fresco. 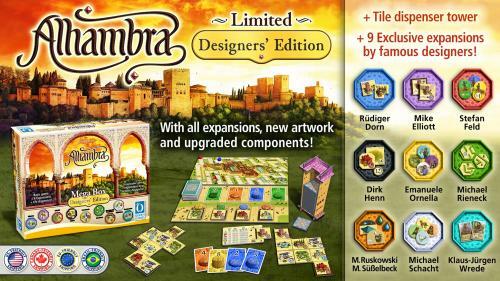 In 2003, we won the German game of the year award with Alhambra, which has now been produced in 30 languages and is distributed all over the world and in 2012 we won it for Kingdom Builder! 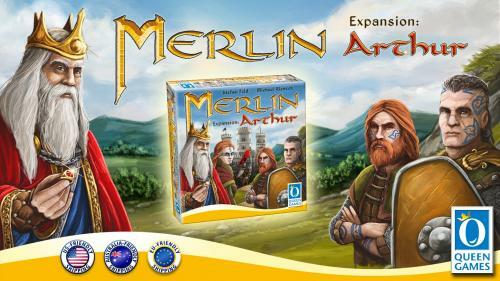 With the help of the Kickstarter community, we are eager to introduce you to games from new and established designers. Additionally, with our new US operations, we hope to create new and exciting titles unlike any we have previously published that will appeal to North American fans! Your support on Kickstarter allows us to produce more high quality Queen Games than we could otherwise provide. 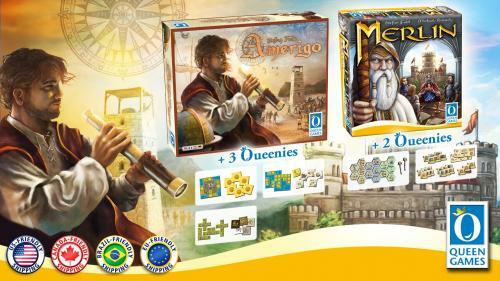 Today, our product range covers a wide spectrum, from children's games all the way up to strategy games. 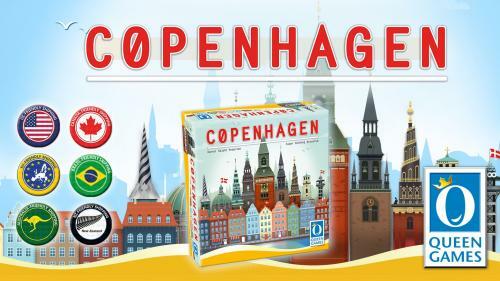 Whether for two people or the whole family, we have a game for everyone! Queen Games is connecting generations! Thank you for your support! 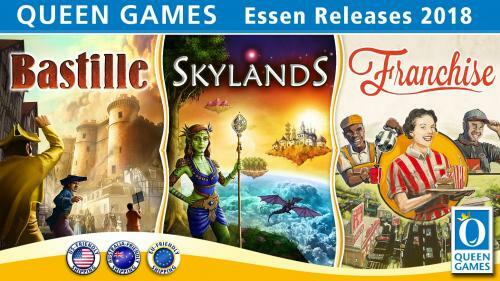 Two Stefan Feld Games alongside with the respective Queenies! 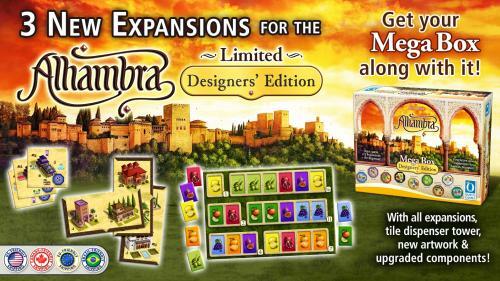 Alhambra with all new artwork, upgraded components and exclusive expansions of world-famous designers! 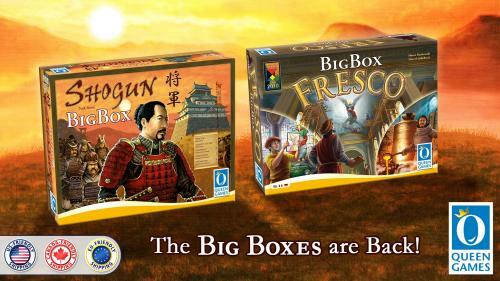 Two of Queen Games most popular games back as Big Boxes!